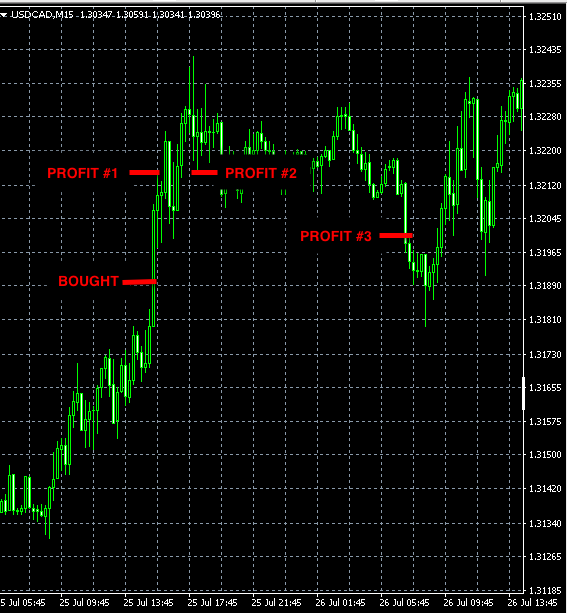 In total this week we made +114 pips of profit. 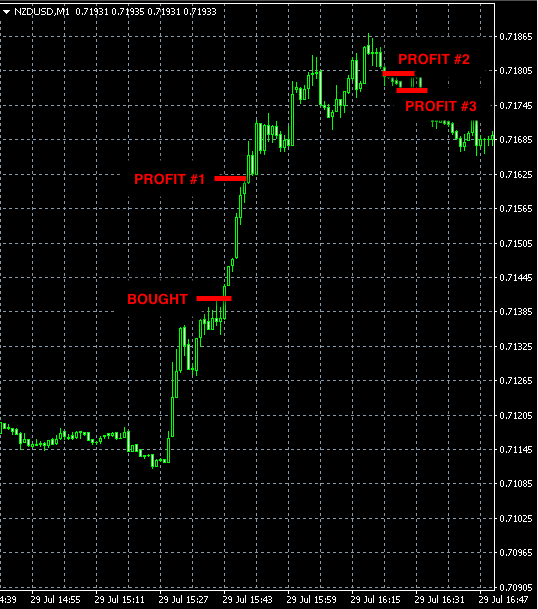 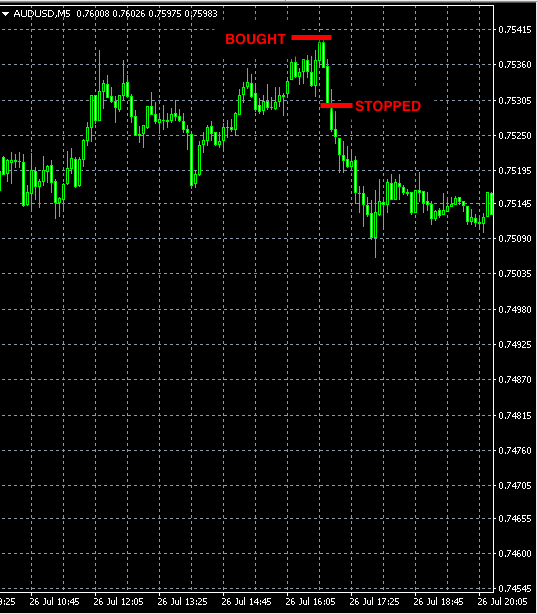 This week we made +122 pips of profit. 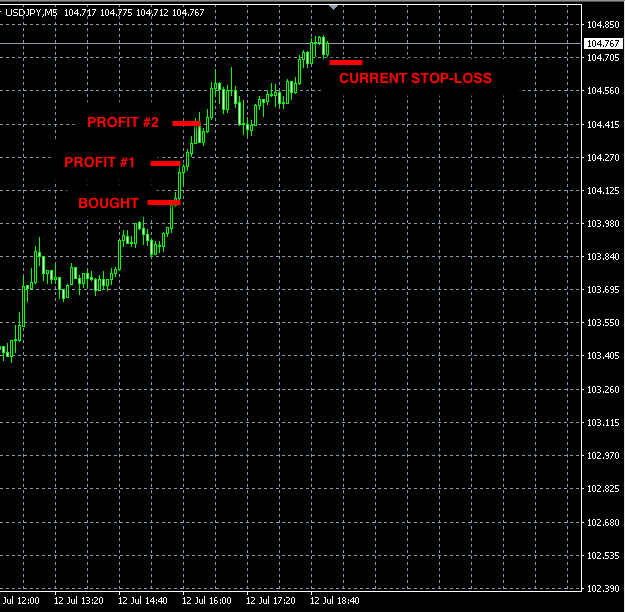 The USDJPY third unit got stopped at 104.68 bringing the total profit from this trade to +122 pips. 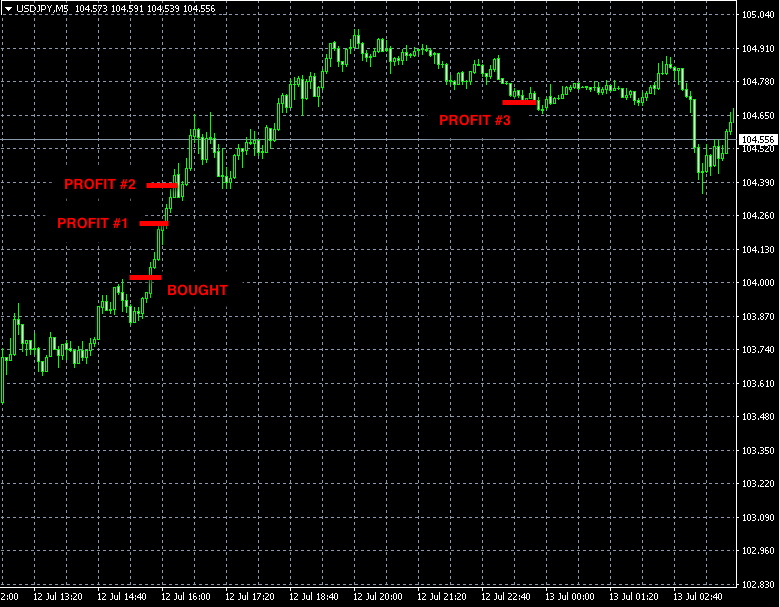 Today’s USDJPY buy signal reached both profit targets for +56 pips profit and one more unit is still open.